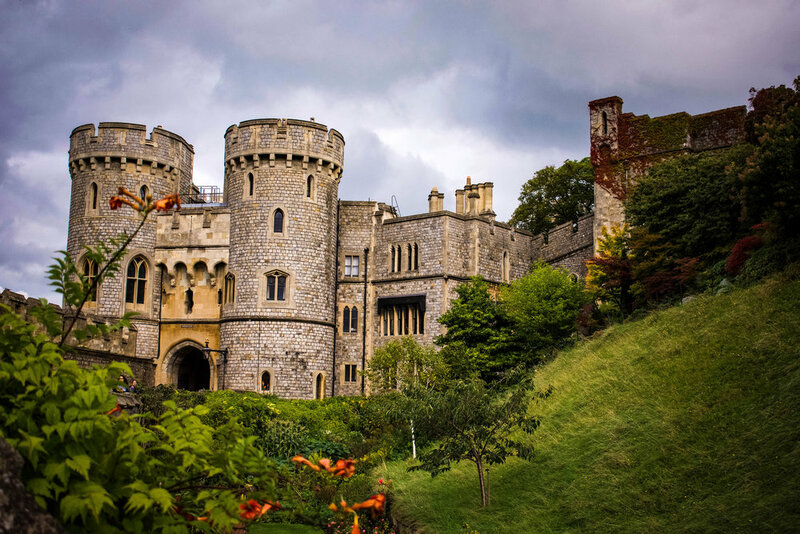 Another castle that is located just outside of London is Windsor Castle. It was originally built in the 11th century and it is still in use today - making it the longest occupied palace in all of Europe! Windsor Castle is in the middle of a super cute little neighborhood - full of restaurants, pubs, and lots of shops. You could easily spend an entire day exploring this side of London. We didn't get a chance to see inside of the castle because by the time we arrived we only have a short time before they closed and I really wanted to see St. George's Chapel. So we made our way to the Chapel and then backtracked a little to admire some of the castle grounds. I wish we had more time so we could have explored the inside of the castle - but there is just never enough time in the day to see everything! Even though we were there towards the end of the day, it was still surprisingly crowded - and this was also on a Monday! I would suggest trying to get to Windsor Castle first thing in the morning to try to avoid the crowds as much as possible. Looking for more?? Check out my Ultimate U.K. RoadTrip Itinerary for an epic 17 day adventure through England & Scotland!